100 Sheets, 3,000 small Round White Labels. Sheet is 8-1/2 x 11. Note: You can not print to the edge on these Labels. 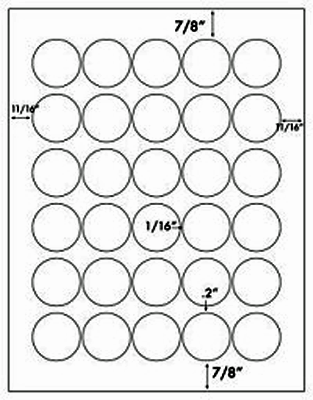 This 1-3/8" diameter Round Label has many uses. Stickers with Dates are one usage. The shape will make a sign look great. These labels are also used to print Inventory Control Labels that can be applied to the Products as counted. If you've been looking for stickers just a bit bigger than 1" circles, but 1-5/8" circles are too big, try our 1-3/8" Circular (round labels) self adhesive labels. Designed for use on Laser or Ink Jet Printers. Each package contains 100 sheets of 1-3/8" Circular (round labels) self adhesive labels, with 30 round labels per 8-1/2" x 11" sheet for a total of 3,000 labels per package. 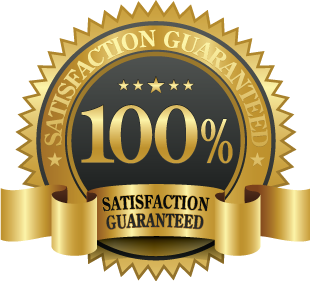 Like all our products, these round (circle) labels are fully guaranteed to meet your complete satisfaction!